The global trade turnover of SOCAR on liquefied natural gas (LNG) has increased four-fold, SOCAR’s President Rovnag Abdullayev said in an interview with AZERTAC. “Each year, we enter new spheres and new markets, expanding our business. Although we have entered into a commodity market in 2017 that is new to us as liquefied gas, we have been able to increase our global trade turnover more than four times in just one year,” he said. Speaking about the company's traditional operating areas, exploration and production, Abdullayev noted that SOCAR has drastically increased its drilling activities by 66 percent over the past two years. Since 2015, 4 wells at depths of more than 6,000 meters were drilled and handed over in Bulla Deniz and Umid fields. At present, the depth of the new well drilled at Umid field is 6810 meters, its drilling will be completed soon, he added. 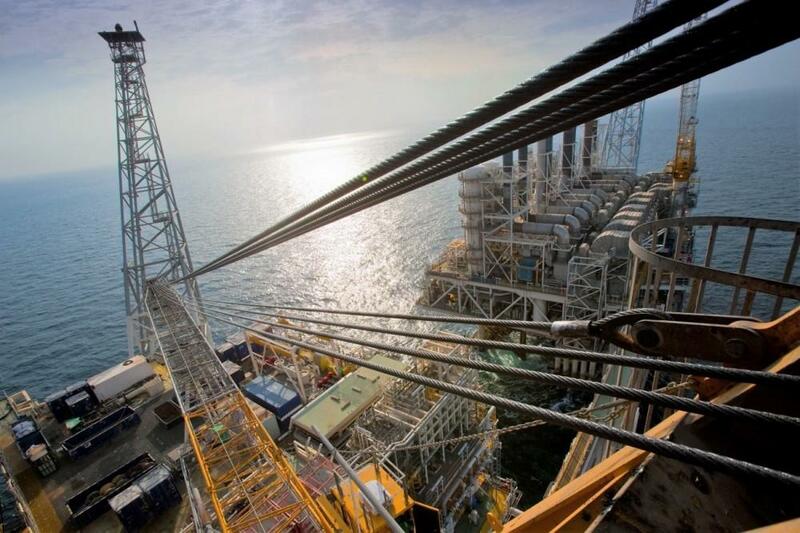 Head of SOCAR also noted that the new wellhead drilling rig named "Heydar Aliyev" will begin drilling the first well at Absheron field in the third quarter of this year and then will start to drill the well within the "Shafag-Asiman" project. Abdullayev said that the expectations regarding the oil and gas reserves of the Karabakh field are great. About 60 percent of work on the new offshore platform for the Karabakh field have been completed. The first product from the Absheron and Karabakh fields is expected in 2020-2021. In addition, the first well is expected to be drilled from the Umid-2 platform in 2020. He also spoke about the activity of SOCAR Polymer. The polypropylene product produced at SOCAR Polymer complex is exported to Turkey and Ukraine today. In the future, the product is expected to be exported to CIS and European countries, said R.Abdullayev. The total production capacity of the complex will reach 220,000 tons in the current year, and up to 300,000 tons in the following years. Speaking about the SOCAR Carbamide Plant that put into operation this year, he said that earlier, Azerbaijan imported carbamide fertilizer which has a high nitrogen capacity, adding, now, this factory will fully satisfy domestic demand and export more than 70 percent of its product to foreign markets, bringing hundreds of millions of dollars annually to the country. He also touched upon the global mega-project Southern Gas Corridor and stressed that the first gas through the corridor was transported to the Turkish market exceeded of 1.1 billion cubic meters. “Surely, this figure will increase and will reach 6 billion cubic meters a year in the upcoming years,” he said. He also mentioned that as a result of the substantial increase in the natural gas production in Azerbaijan in 2018, SOCAR completely refused to import gas from abroad. Projects to be implemented in the upcoming years will provide the energy security of the country and will enable Azerbaijan to become a strategic energy center between the two continents.